Have you ever wanted to colour vellum but you’re not sure how? 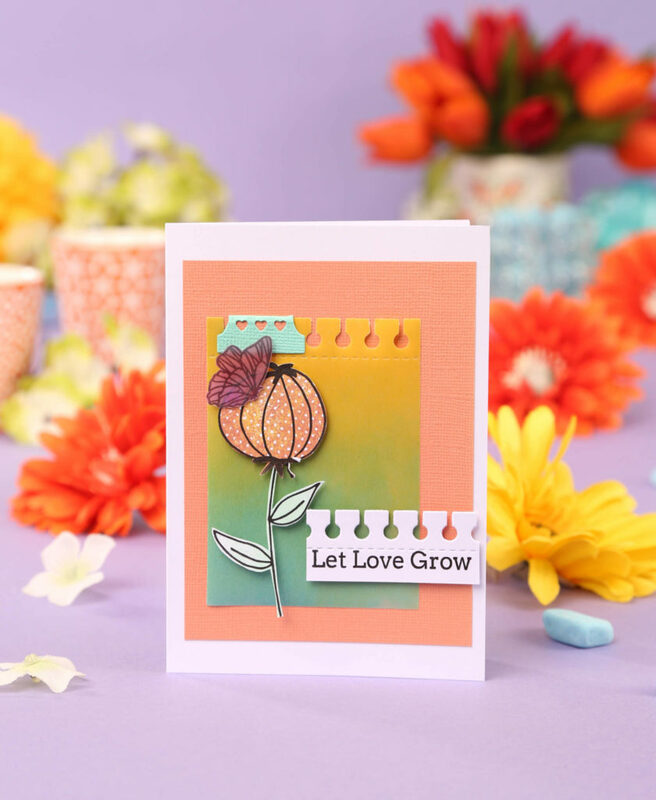 Talented designer Kim Dellow teaches you some fun vellum-colouring techniques to create beautiful backgrounds and embellishments. 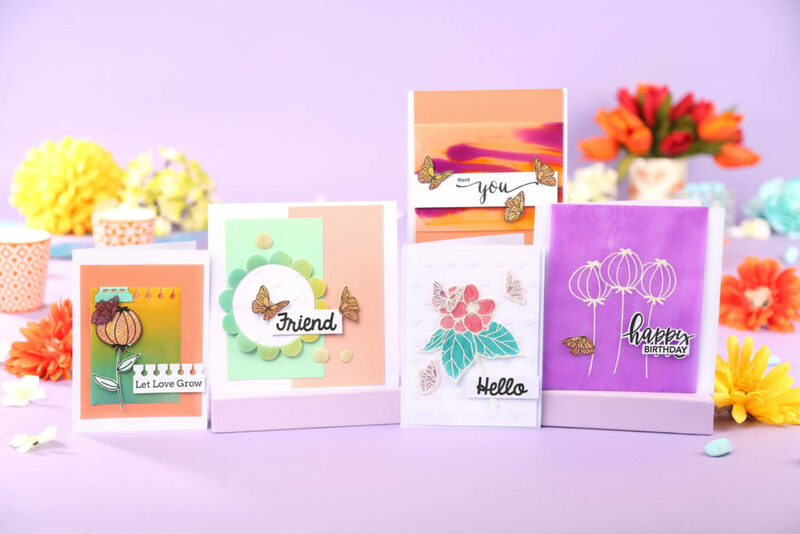 If you don’t have any vellum in your stash, you can find a good selection at CraftStash – Vellum. 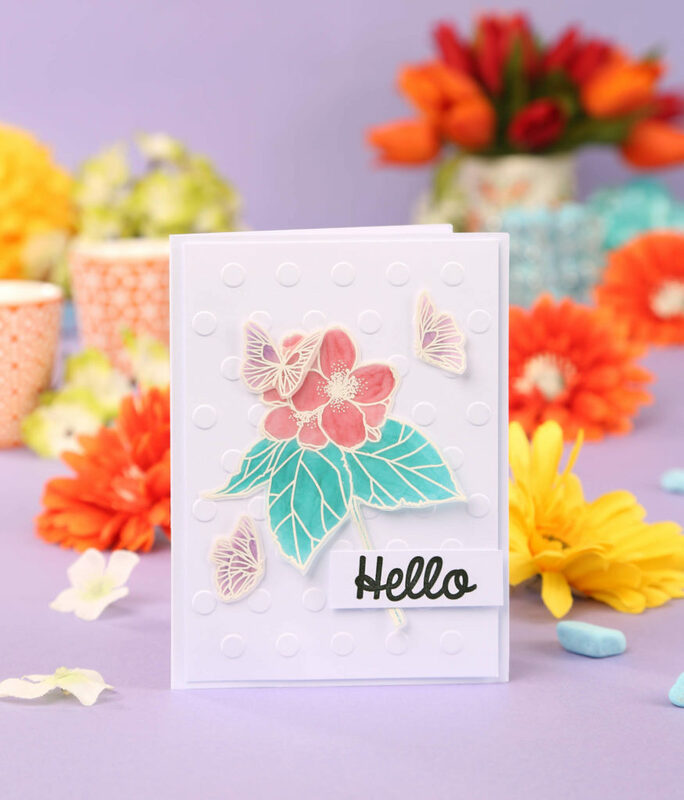 Vellum is a fun paper to work with – it’s tough, has an interesting translucent look and is really easy to colour with products you probably already have in your stash. 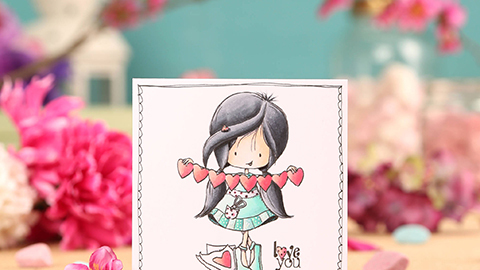 So if you haven’t coloured vellum before, now might be the time to give colouring vellum a go! Alcohol inks dry quickly and you can use either side of the alcohol ink-coloured vellum depending on what look you want to achieve and how you use the vellum. 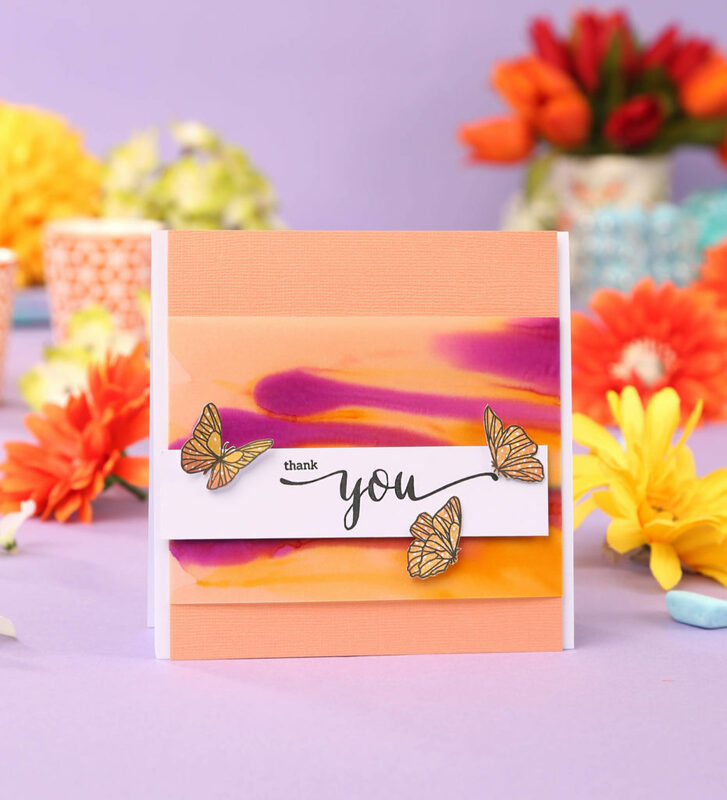 Add a couple of drops of different alcohol inks to one end of a piece of vellum and hold it up so that they can run down the paper – the effect is stunning! Next up are alcohol markers such as Copics, Little Tipsy Markers and all the other alcohol-based markers that are on the market. These are perfect for colouring targeted areas of vellum. They work best if you use them on the back of images that you’ve stamped onto vellum as they give a subtle colour to the area. Also if you do use them on the back, you don’t have to worry about heat-embossing the ink to make sure it doesn’t react with the alcohol marker. 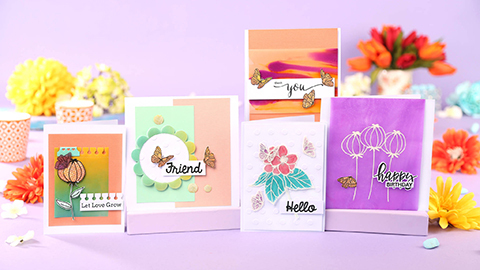 Vellum is perfect for butterflies, giving them a pretty and weightless look. 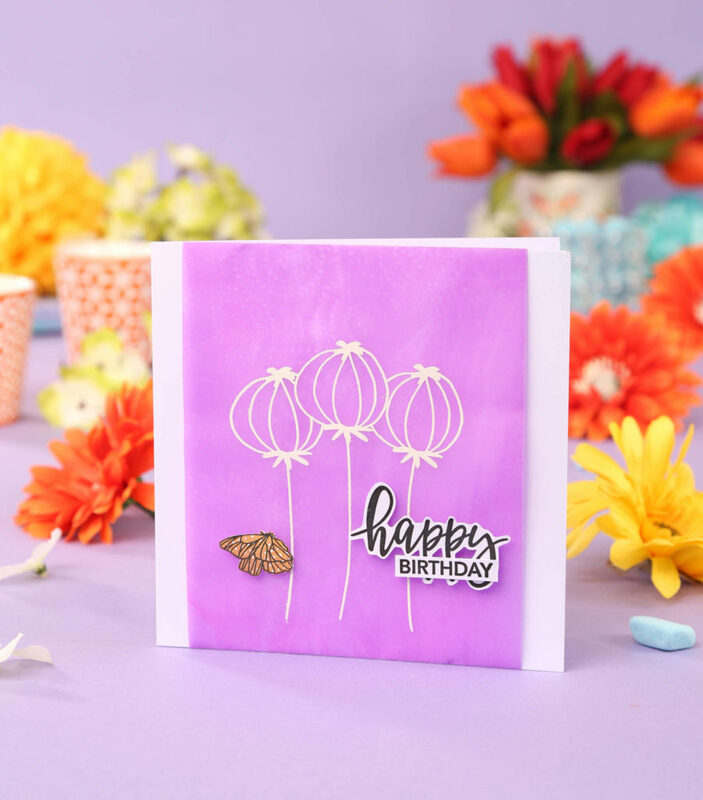 You might be familiar with using alcohol inks and markers on vellum but did you know that you can also use some inkpads like the Distress Oxides and other inks that give a chalky finish? These inks work well and you can apply them directly on the back of the vellum or try blending tools and applicators for light looks. You can add a single colour or try blending colours together on the surface, so try experimenting to see what looks you can get. 1 Swipe the Distress Oxides over the back surface of the vellum, add other colours if you’d like to blend them. 2 Using a piece of kitchen towel, smooth and blend the Distress Oxides on the vellum, particularly at the border of where different colours meet. 3 If you need to, add more colour by wiping the inkpad over the back surface and blend again. 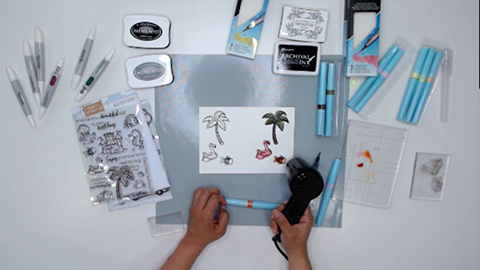 Let us know how you get on with this fun technique – we’d love to see your projects!